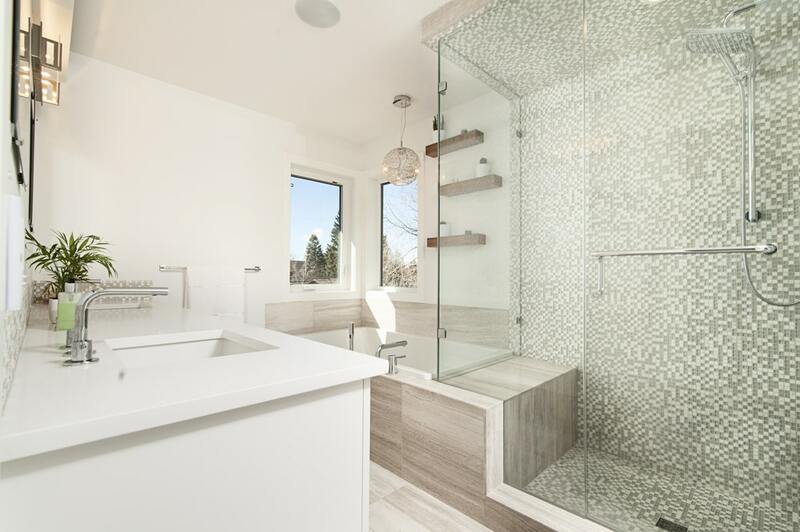 A larger and airier bathroom is at the top of many homeowners’ wish lists but, in order to get one, you’ll need to have a big budget. The good news is that you don’t have to renovate to get the bigger bathroom of your dreams. Read on for some visual tricks and bathroom shower window ideas. There are many ways to make your bathroom look and feel bigger without knocking down a wall. For example, strategically placed mirrors can make it seem like your bathroom is twice its size. Color can also make a big difference; by keeping walls, tile, and your vanity in the same hue, the eye is able to sweep the room without being interrupted by a contrasting shade. Another way to help the eye travel upward and give the illusion of a larger space is by adding lights to either side of your vanity’s mirror. Not only that, but this kind of task lighting will help make activities like shaving and applying makeup far easier, too. Although all of these tricks are effective, the best lighting for your bathroom is the natural kind. Natural light is one of the best ways to make your bathroom look and feel bigger. A bathroom window in a shower wall can offer a relaxing view, but that’s not all. Thanks to research, we are now aware that natural light has many benefits to our bodies. Just a few minutes of exposure to sunlight on the skin is enough to produce the body’s daily requirement of vitamin D.
Natural or full-spectrum light is also used by our bodies in other ways. In fact, the body cannot function at optimal levels without it. When it hits our eyes, each part contained in natural light is utilized by several processes in the body. For example, the red portion of the spectrum activates respiratory enzymes and enhances mitochondrial function. In the blue spectrum, bacteria found to be resistant to antibiotics was effectively eliminated. Research revealed that the white portion of the spectrum increased the production of antibodies, increased blood flow, and decreased inflammation in the body. As you can see, incorporating natural lighting into interior design can offer a lot of health benefits. If you currently don’t have any windows in your bathroom, adding even a small one in your shower can be a great way to get a larger look and feel as you benefit from the full light spectrum. 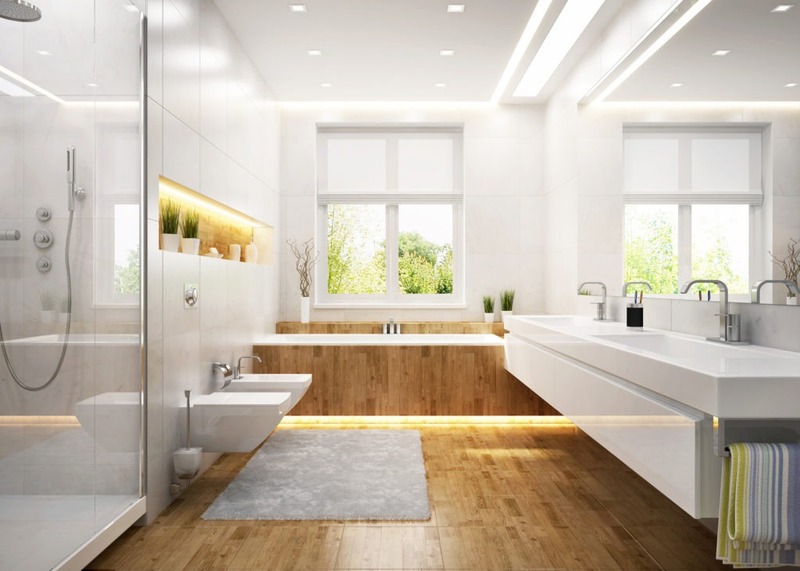 Bathroom designs with natural lighting can definitely improve health and make your bathroom look a lot bigger, but grout can attract mold and mildew that’s unhealthy and impossible to clean. A bathroom window kit from American Bath Enterprises provides a complete, water-tight seal around shower windows. Available in many sizes, our window kits install quickly and can be cleaned easily with mild soap and water. Inquire about our lines of high-quality enclosures, accessories, and more; call 1-888-228-4925.